On behalf of the General Aviation Manufacturers Association (GAMA), which represents 72 of the world’s leading manufacturers of fixed-wing general aviation aircraft, engines, avionics, and components, we thank the Subcommittees on Aviation and Coast Guard and Maritime Transportation for holding this important hearing. 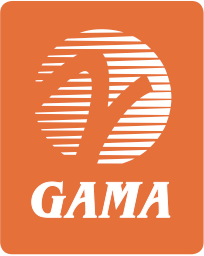 GAMA opposes the application pending at the Federal Communications Commission (FCC) by LightSquared because it would compromise aviation safety and would delay implementation of NextGen. I know the House Transportation and Infrastructure Committee members, on a bipartisan basis, have been real leaders in accelerating NextGen. If FCC approval of this application takes place, it would be a serious and devastating setback to this effort. At the direction of Congress, the Federal Aviation Administration is undergoing a multi-billion dollar transition to satellite based navigation, funded by taxpayer and industry users. This will transform our air traffic control system from ground-based radar to satellite driven capabilities that will improve the safety and efficiency of the National Airspace System. It is predicated on a functional and reliable Global Positioning System (GPS) and affects all aviation users, including defense, commercial, and general aviation. In addition, today GPS is used extensively to provide an approach and landing system option at airports where land-based instrument landing systems are unavailable. Finally, GPS is critical to the FAA’s Automatic Dependent Surveillance-Broadcast System which will provide additional safety awareness and better aircraft management, particularly in congested areas. GAMA supports this effort and has worked diligently to advance this transformation. Consequently, GAMA member companies have invested significant time and financial resources into development of platforms that operate on the GPS system. Many companies that manufacture aviation related products are multi-faceted corporations that have a broad purview with numerous applications. Examples include Garmin International, headquartered in Olathe, Kansas, which manufactures communication and information devices that are GPS enabled. Rockwell Collins, Inc., headquartered in Cedar Rapids, Iowa, manufactures commercial and government applications for aviation and communication electronics, including flight deck avionics and mission communications. Honeywell, headquartered in Phoenix, Arizona, manufactures avionics for commercial, military, and general aviation, as well as engines and system service solutions. In addition, there are GAMA member companies that explicitly focus on avionics that rely upon the GPS platform. For example, Avidyne Corporation, headquartered in Lincoln, Massachusetts, manufactures integrated flight deck systems, including weather detection and traffic advisory systems. Each of the aforementioned GAMA members provides a tangible example of large and small companies, and ultimately their employees, that will be negatively impacted if LightSquared’s application moves forward. GAMA has consistently expressed concern with LightSquared’s proposed service as it would create an environment that will interfere with GPS receivers and create an unreliable signal. In January of this year, GAMA sent a letter to the Federal Communications Commission’s International Bureau and participated in a meeting with Bureau staff, expressing its views that LightSquared’s request did not warrant expedited treatment, that public comment should be taken into account, and that extensive testing should be conducted to understand the ramifications of LightSquared’s proposal prior to the grant of a waiver. After the Bureau issued its conditional waiver to LightSquared, GAMA, along with others, sought full FCC review of the bureau’s decision through an application for review, which remains pending. Ultimately, if LightSquared’s proposed service goes into operation, it will compromise public safety, transportation systems, and aeronautical emergency communications. In fact, RTCA’s studies have found that LightSquared’s stated intent would create interference with current avionics that utilize GPS. Equally telling, after initially pushing to have an expedited application, LightSquared is now asking for a two week delay to submit findings of the Technical Working Group to the FCC. This delay will result in nothing more than wasted government and industry resources and will not alter the outcome: LightSquared’s proposal would damage the national infrastructure that utilizes GPS. Since the Bureau granted LightSquared’s conditional waiver, GAMA member companies have conducted periodic testing on their own volition that demonstrates unequivocally that interference occurs to GPS receivers. We firmly believe this use is inconsistent with FCC’s rules, because LightSquared’s proposed operations have morphed from a primarily satellite-based service with an ancillary ground-based component to “fill in” gaps in service coverage, which would have protected GPS service, to a primarily ground-based system with ancillary satellite augmentation. Tests have confirmed that this monumental shift would overwhelm GPS receivers within a certain distance, due to the power levels emitted from a primarily ground-based service. In our view, there is no straightforward solution that would permit GPS and LightSquared’s intent to move forward; any modification to the L-Band, where GPS bandwidth operates, will be costly to the aviation sector and consumers and require years to transition. Some have suggested that an easy fix is to create filters that would enable GPS receivers to filter LightSquared’s signal. However, it has not been demonstrated that such a filter could be created to perform such a role; additional testing would be needed in this area. An initial industry look suggests that even if such filter technology were developed, the size of the filter would be greater than the size of some GPS devices. In addition, GPS devices would have to be redesigned to accommodate such a filter. The costs associated with designing a filter, redesigning the receiver, retrofitting aircraft with the receiver, and FAA certification in each step would be staggering and conservative estimates suggest that this could take 7-10 years to complete. Manufacturers and aviation operators should not be responsible for bearing the burden of these costs. Furthermore, the FAA’s limited certification resources should not be further burdened during a time when GAMA member companies are developing new products that need to be certified before they can be brought to market. It is equally important to understand the concern this waiver creates for government entities. Specifically, eight government agencies, including the Department of Defense, the Department of Transportation, the Federal Aviation Administration, and the National Aeronautics and Space Administration, all registered objections based upon the viable threat interference creates. Each of the aforementioned agencies’ concerns are based upon the direct consequence this application creates for aviation users as it compromises ongoing federal investment, despite federal budget constraints. To date, federal investment in GPS-based systems totals $35 billion. Furthermore, it is worth noting that on a bipartisan, bicameral basis, members of these subcommittees, and the Congress, have signed letters that express concern with the fiscal and operational implications incurred if the FCC allows LightSquared to move forward with 40,000 ground based, 1500 watt transmitters next door to GPS frequencies. Cumulatively, these letters underscore the ramifications for all users of the GPS system, including general aviation. On behalf of GAMA member companies, we appreciate the Subcommittee on Aviation and Subcommittee on Coast Guard and Maritime Transportation closely reviewing the risk created by the FCC waiver allowing LightSquared’s high power terrestrial transmitters to be adjacent to the GPS spectrum. General aviation requires a functional and reliable GPS system that operates without interference. We firmly oppose approval of this application because it will undermine federal investment, compromise critical aviation systems, and introduce a myriad of performance issues if the application moves forward. Further, we do not believe that any sort of modification to the GPS platform will meet the necessary cost-benefit required, particularly when budgets are constrained, for government and industry. We thank the Subcommittee members for considering our perspective on this issue. RTCA Paper No. 103-111/PMC 889 (May 26, 2011) and RTCA /DO-327, Assessment of LightSquared Ancillary Terrestrial Component Radio Frequency Interference Impact on GNSS L1Band Airborne Receiver Operations, June 3, 2011.